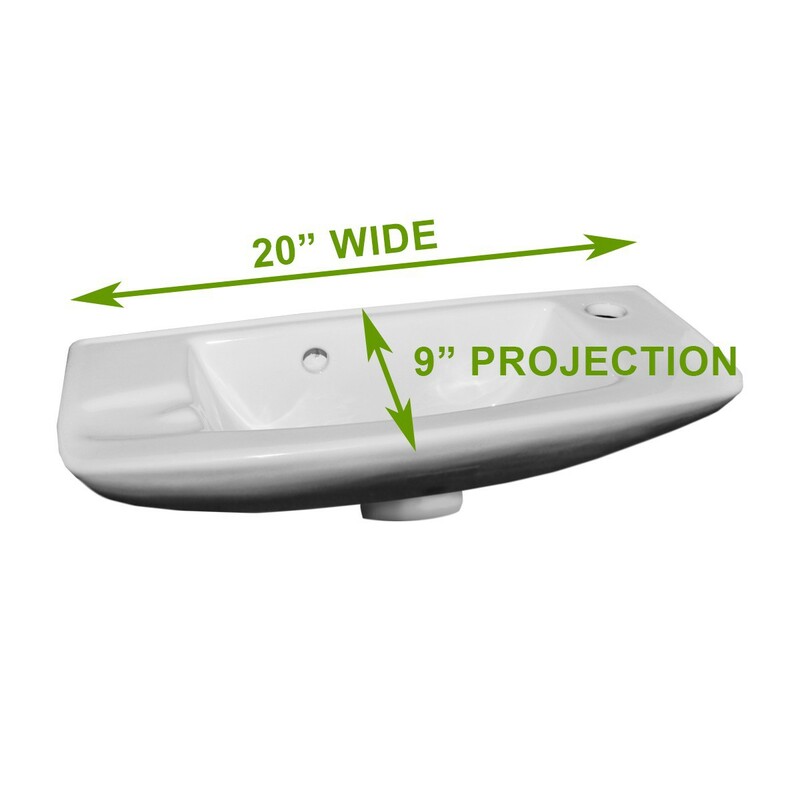 Frustrated by the limited space in your bathroom? 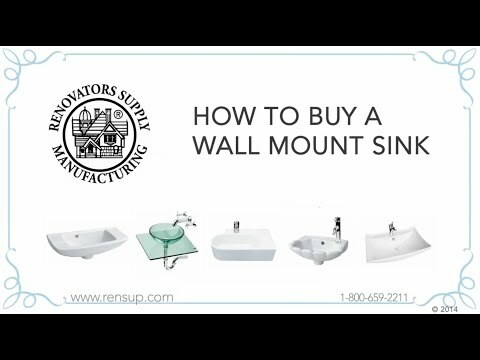 When space is limited, small-profile sinks, such as our small square sink wall-mount can be a great idea. Our sinks are terrific space-savers, allowing you to see the tiles behind the sink. If storage space is not your concern then our item no. 14229 is the best available option. Now complement your new sink with any rectangle-shaped mirror to mimic the design of your sink. 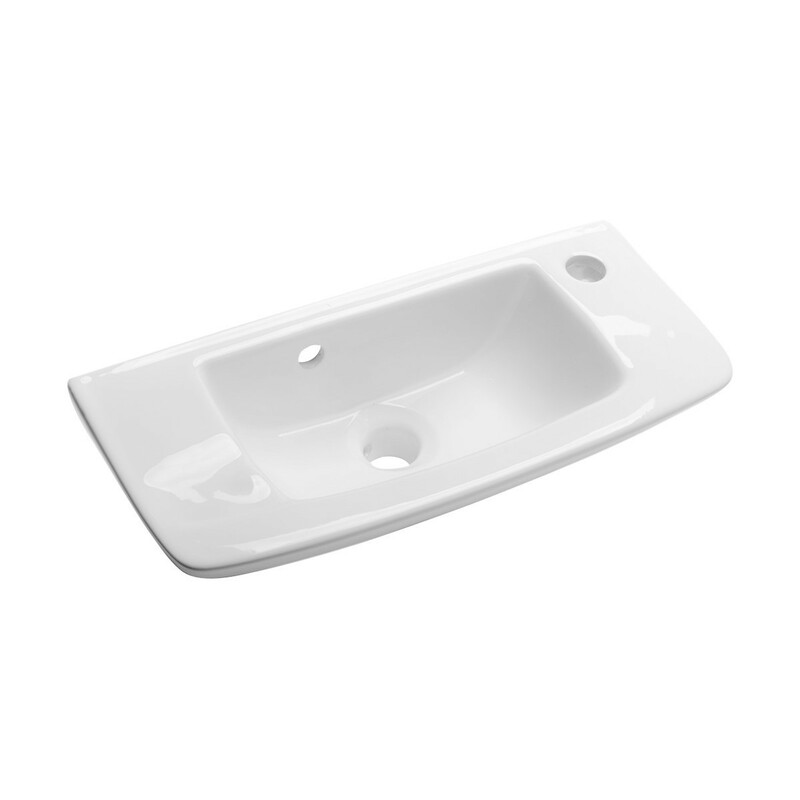 Larger, vanity-style sink offer space for storage, but will occupy maximum space. 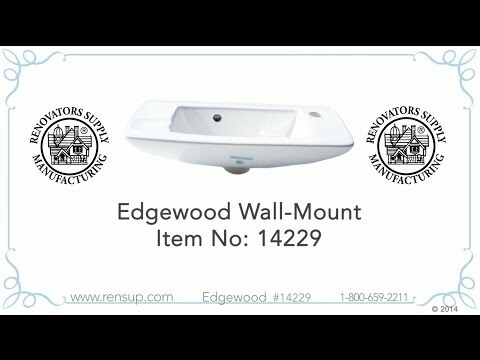 So, our small wall-mount sinks are a better option, which provide the best of both worlds -- compact size with storage underneath and counter space around the basin. 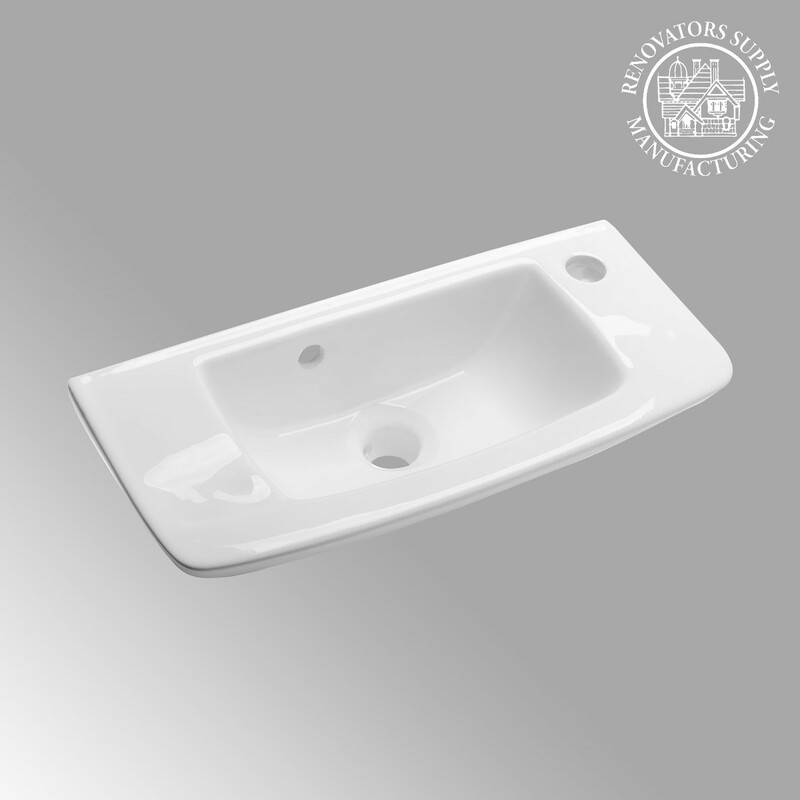 Our exclusive range of this classic square-shaped white porcelain sink can easily fit in any decor! Plus, the Reno-Gloss finish can resist any household stain, thus making it easy-to-clean. Installation is also easy. You can refer our instruction manual for installing it. Very easy install. No surprises. Wish it had come with a mounting hole template, but that was a non-issue. Used a standard single hole Delta faucet and a pop up drain with overflow. Has no built-in back splash, so you will need to make one and caulk well. and a (Std) 1/2" to 1/2" connecting cable for the Tee to Faucet connection. and the Tee feeds mixed hot and cold to the faucet... regulated thru the shutoffs. Sink is pretty and fits great in the bathroom. Giving 4 instead of five stars because it really should come with hardware that fits the grooves--it's not at all easy to take a sink with you shopping to guess what screws would work best. Also, there is a logo baked into the front in light blue which I would prefer not be there, but it's not terribly noticeable. The sink is beautiful and well constructed. It's great in a small area. 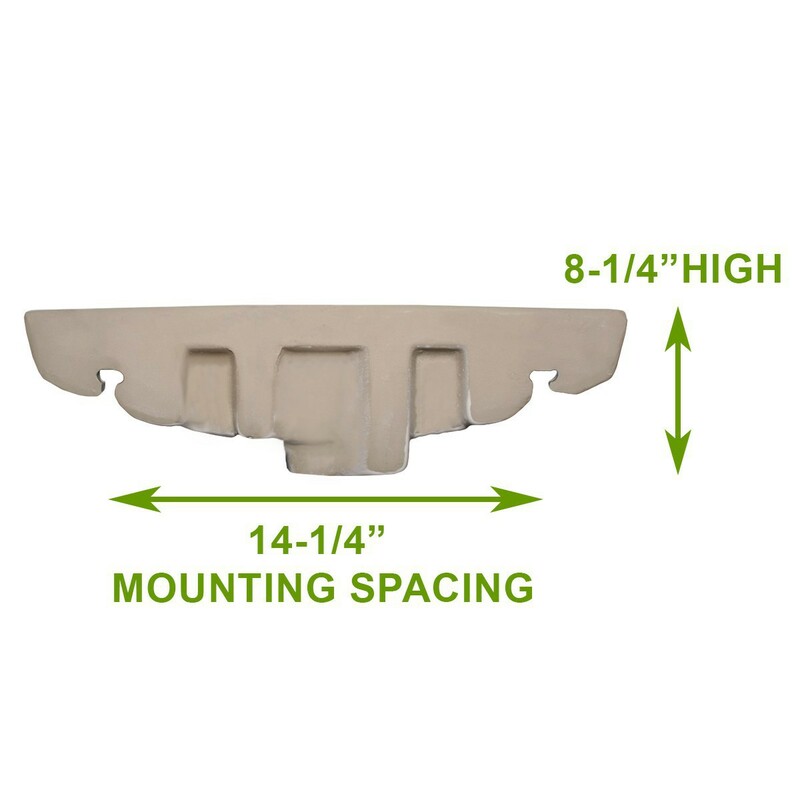 It does NOT come with any mounting pieces. I have a very small extra bath and had purchased a new sink that was a bit bigger than what I was looking for. Saw this and ordered and so glad I did. Looks Fantastic and takes up very little room being longer than a "normal" sink and not as wide. Did not come with any kind of hardware to hang on wall but my plumber had that covered. He said it was very easy to install and he even liked the look. This sink is sssooo cute!! We put a small bathroom in the garage and went small on everything. One thing to keep in mind though is that this sink is very small in depth, so if you want to be able to brush your teeth and rinse your mouth, you will want to be careful not to put a mirror or cabinet above this sink that has any depth or you may hit your head on it as you are rinsing your mouth. We will likely just put a small mirror directly on wall above without a cabinet. Another option is to go with a flush mount medicine cabinet that goes inside the studs of the wall. Plumbing is no fun, no matter how cute the sink is. While I love the sink, my husband had a tough time getting it hooked up. Now that it's done, we love it.